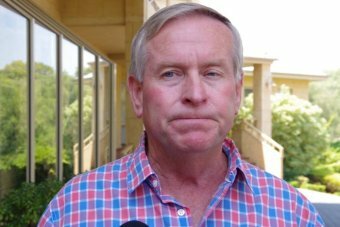 Plans to almost halve the number of local government authorities in Perth have been put on hold for the foreseeable future, Western Australia’s Premier has conceded. The WA Government was trying to cut the number of metropolitan councils from 30 to 16 as part of a policy more than six years in the making to overhaul the sector. But with the WA Local Government Association (WALGA) yesterday withdrawing its support for the reforms and a poll at the weekend rejecting amalgamation plans, the Premier this morning said he had “run up the white flag” on the issue. Minutes before walking into a party room meeting in Busselton, the Premier appeared exasperated by recent developments. The system is broken. It does not work. It does not work. So very difficult to get sensible reform. Mr Barnett said the weekend rejection of three amalgamations was a clear message from ratepayers and he had now put the entire process “on hold” for the foreseeable future. “I don’t think local government is capable of reforming itself. I formed that view over the weekend. They are not capable of reform,” he said. He said despite extensive consultation and engagement with councils, mayors and councillors, the process had ended in chaos. “The system is broken. It does not work. It does not work. So very difficult to get sensible reform,” he said. “Then, of course, you had situations where you had mayors and councillors supporting it one minute and opposing the next minute. The Premier this morning also cast doubt on whether the State Government would reimburse councils for the costs associated with preparing for amalgamation or boundary changes. Kwinana and Cockburn city councils said the failed process cost them millions, and have indicated they will write to the Premier seeking compensation. But the Premier indicated where councils had spent money opposing the reforms, the Government was unlikely to help. “One shire spent money on a ‘no’ campaign. Another shire or council spent money on going to the Supreme Court,” he said. Mr Barnett said the Government would work with individual councils who wished to amalgamate on a case-by-case basis, but that no council would be forced to change. He said his priority remained the drafting and passage of legislation to create the City of Perth as a true capital city precinct, with control of the major institutions of the state such as the QEII Medical Centre and the University of WA. Earlier plans to amalgamate the cities of Perth and Vincent now appear doomed, with the two authorities failing to reach agreement on elements of the proposal. WA Nationals, Labor and the Greens are all vowing to block the legislation in the Upper House. State Opposition Leader Mark McGowan described the policy as a “trainwreck” that had cost ratepayers tens of millions of dollars without achieving an outcome. “I expect they’re going to pursue the State Government, and it’s very unfortunate taxpayers look like picking up the bill that Mr Barnett and the Liberal Party have forced on them,” he said. “They need to come out and apologise for what they’ve done to the people of Western Australia and pull back from further forced amalgamations. He reiterated calls for all councils to be allowed a referendum on any future amalgamations. He also said Barnett had to pull back from forcibly amalgamating the City of Vincent with the City of Perth. “Anything in which a council is abolished without the opportunity for a referendum, I’m opposed to,” he said. Kalamunda Shire president Sue Bilich welcomed the Government’s shift. “Finally we’ve been heard. The voice of the people is very powerful and when you try and suppress that, this is the outcome,” she said. “I really think it’s wise that these Governor’s orders are rescinded and then he just goes back, and starts again years, years later. City of Belmont Mayor Phil Marks said people were clearly interested in their local governments. “Unless you are willing to override the people and a make a fool of the people, and the council, then you should stop,” he said. “Until he can actually get legislation through the Parliament that enables the process then you always are going to have this type of unfair situation arise”.